Rounding up what has been a busy few months across our Springboard properties, last weekend the Barons Court building sent summer out with a bang (or at least a drinking game or two) at their annual Summer Party. 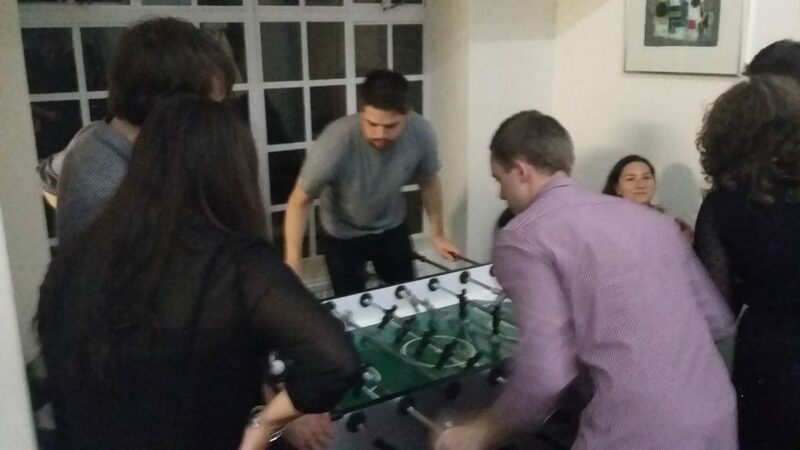 Pool and table football tournaments took center stage and a number of drinking games were played throughout the night. These ranged from the classics; beer pong and ring of fire, to the lesser known (but a firm favourite amongst our Barons Court tenants) Slap Cup. 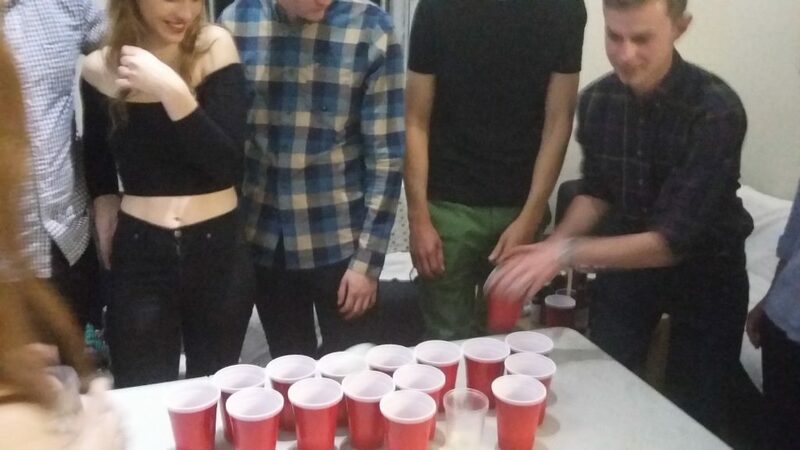 For those of you unfamiliar with this: “Slap Cup is a fast paced competitive drinking game where participants compete individually and try to bounce a pong ball into their cup as quickly as possible.” One of our games was particularly epic, with at least 20 people around the table battling it out! And this was only the start of the night! For the majority, the night ended (as many of the best nights do) at Infernos night club in Clapham. For those of you yet to experience Infernos, you’re in for a treat, or at least a sore head. Infernos is a mecca for cheesy fun and if you’re still not convinced, when I tell you that the infamous dance scene (Add link to this scene if no expletives! – need to check out of office) from the Inbetweeners Movie, was filmed here, I know you will be! As if all-inclusive, affordable, accommodation in well-connected parts of London is not enough, we also offer you the opportunity to spend your nights treading in the footsteps of film stars, and hang out at renowned movie locations – Now don’t say we don’t spoil you! Most of our tenants returned to Springboard at circa 4am. And that aforementioned sore head thing? It was definitely true the following morning! To find out more about life in Barons Court, check out my area post, or drop Amy a line to arrange a viewing.